A white supremacist who planned to carry out a machete attack at a gay pride event has been detained indefinitely in hospital. 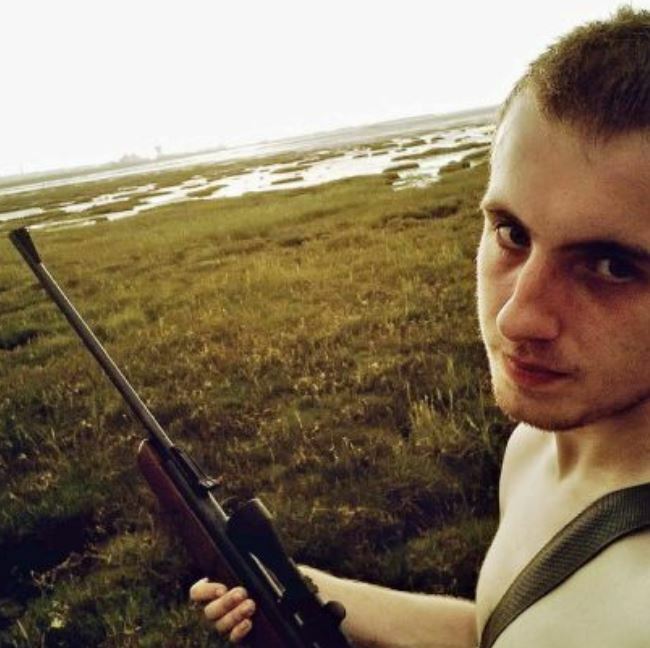 Ethan Stables, 20, was convicted in February of planning an act of terrorism after he boasted online of his planned attack on an LGBT event at a pub in Cumbria. Armed police swooped on Stables as he walked towards the New Empire pub in Barrow, Cumbria, on 23 June in 2017. He was unarmed but police later found an axe and a machete at his home. Officers had received a tip-off from a member of a far-right Facebook group where Stables posted a message saying he was “going to war” and that he planned to “slaughter every single one of the gay bastards”. Stables, who has an autism spectrum disorder, was described by a judge as a “risk to the public” as he was sentenced to an indefinite hospital order at Leeds crown court on Wednesday. The Recorder of Leeds, Judge Peter Collier QC, said although Stables had not carried out the attack he had caused “alarm and distress” with the plans he had made. During Stables’ trial jurors were shown police bodycam footage of officers searching the defendant’s bedroom, where they discovered an arsenal of knifes, an air rifle and a machete, and a large Nazi flag pinned to the wall. A government explosives expert told the court that material found in the flat could have been used to make a credible bomb. He denied he was doing a “recce” of the pub he planned to attack when he was arrested and said he was on his way to sit outside the jobcentre to use its free public wifi. After he was arrested, police found Stables had made internet searches for “how to make chemical poison”, “what is prison like for a murderer”, “I want to go on a killing spree” and “do you get haircuts in prison”. Stables can also be heard talking about joining the DUP to “execute gay people” and the English Defence League, while another man can be heard discussing what food he is going to order in the background. The court heard that Stables had swapped messages with fellow extremists, blaming the fact that he was jobless on “faggots, niggers, spastics” and the Equalities Act. During the trial, Stables’ barrister described him as “lonely and inadequate”, arguing that he was a “white fantasist” and not a white supremacist. Stables claimed he had made racist and homophobic comments only to fit in with the people to whom he was speaking online. He told his trial that he was politically liberal and a bisexual, having had sexual experiences with men. Giving evidence, Stables’ mother Elaine Asbury said her son had been radicalised when he went to visit his girlfriend in Germany. She said she had received little support from mental health services in looking after her son and had thrown him out of her home when he was 17 because he threatened to decapitate her and burn the house down.